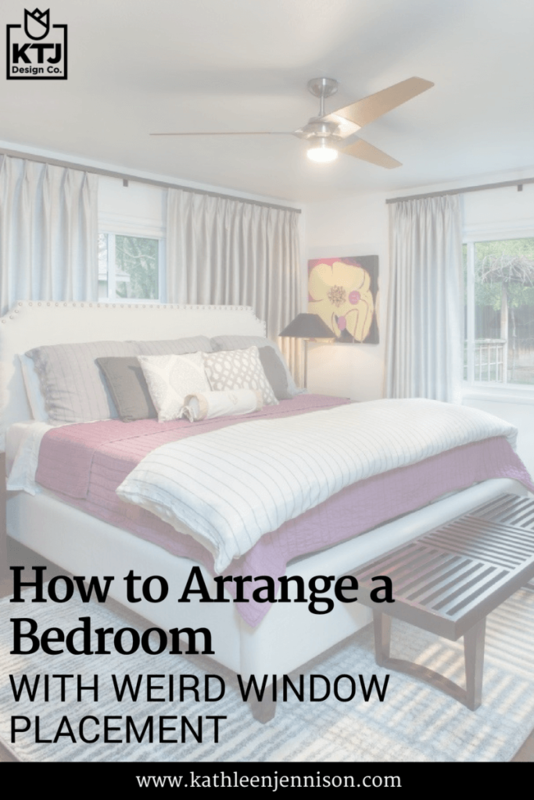 How to Arrange a Bedroom with Weird Window Placement — KTJ Design Co.
As you can see from the floor plan, there is a window on one wall, a window on another wall, the door to the master bathroom on another wall and the closets on the last wall. While you could put the bed on one window wall, unfortunately the window sill on the largest window is only 29 inches tall, which means any bed would cover the window. The window on the other wall has a tall window sill – 54 inches. Ah, perfect! (Just kidding.) 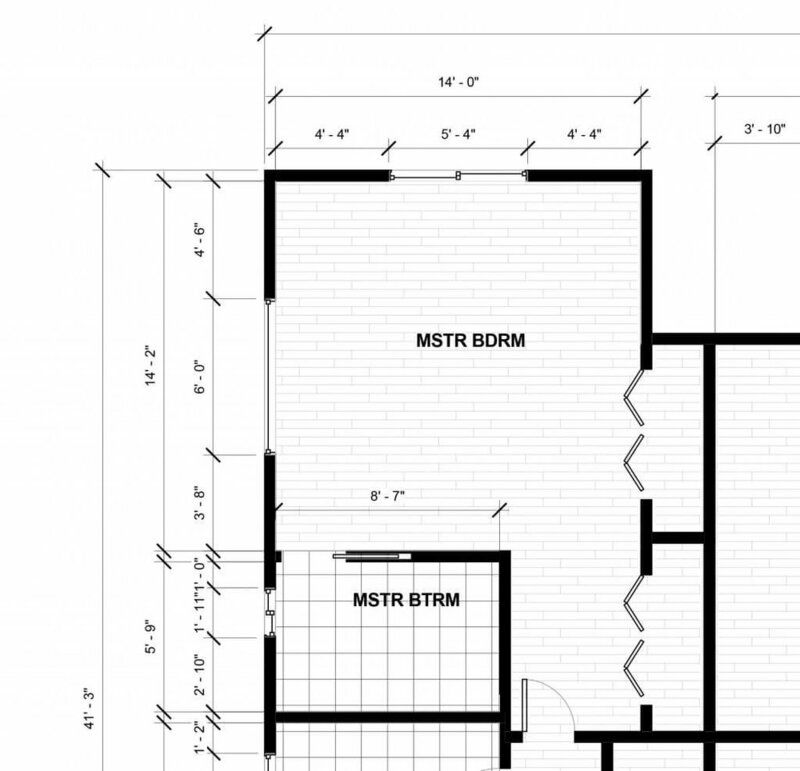 The architect did not center the window on the wall, but rather, skewed it to the left and closest to the master bathroom wall. If you center a bed under the window, the bed will be only 2 feet from the bathroom door, leaving no room for a night stand. 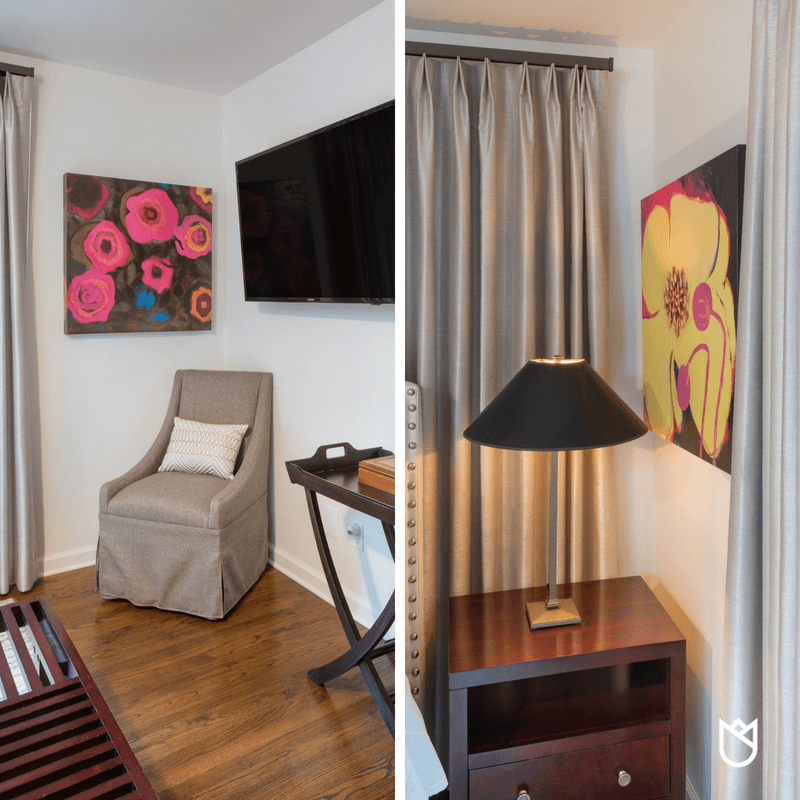 We had to get a little creative with this bedroom, which is sometimes the case when focal points are not placed properly. In order to get all the elements in the room, we centered the bed on the distance between the dresser on the left and the wall on the right. This made the window off centered. Looks pretty dorky, right? Our solution was to make drapery to mask the window. When the drapes are opened, it is a disaster; when the drapes are partially drawn, no one will know there is a problem. Since the window is short and faces north, not a lot of daylight is lost. I adore decorating bedrooms because I love bedding, drapery and area rugs. My client wanted a pink room, and her artwork was an inspiration for the rest of the palette. Plum, silver, and black became the primary colors. The custom drapery is a simple but elegant silver fabric with a two-fingered pinch pleat. (The pleat is a contemporary version of a typical pleat.) Traverse rods in a bronze metal made it feel modern and sleek. Ceiling fans are not always the most attractive, but this model serves as the overhead lighting as well and we couldn’t do without it. With the stainless steel mechanism and wood paddles, it feels more contemporary rather than dated or overwhelming. A soft rug under the toes when you first get out of bed is always a nice touch. This modern patterned rug is 100% polypropylene, which is durable and good for the doggies sleep on without a problem. The old furniture was replaced with a new bed. This upholstered bed in a neutral linen features large nail heads and ties together the old furniture and the new décor. Let the team at KTJ Design Co., help you with your bedroom décor. 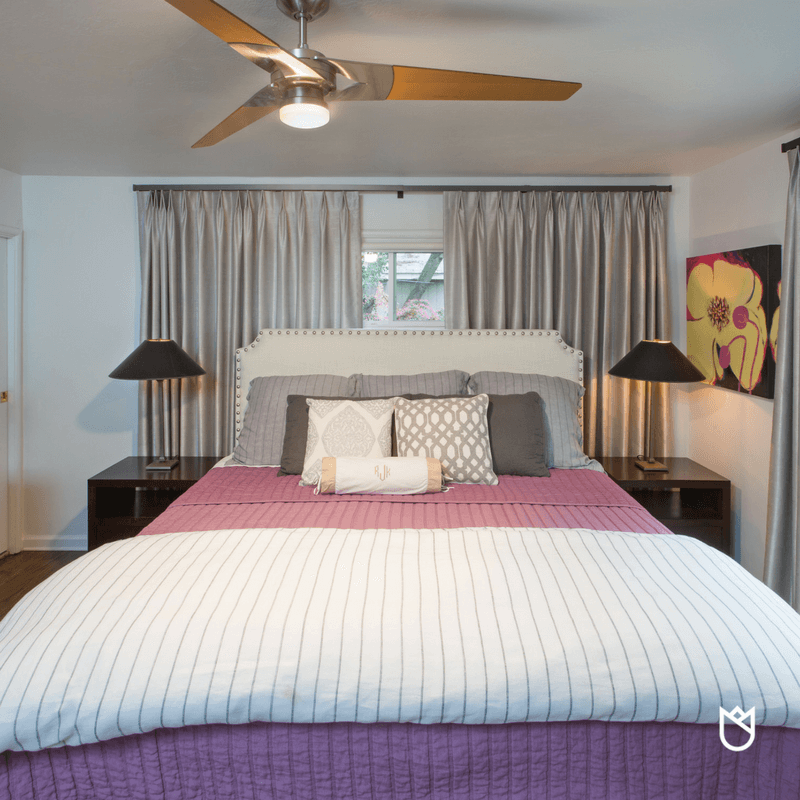 We make sure it all comes together with luxurious linens, custom drapery, soft rugs, and comfortable furniture. Book a Remodel Clarity Session to get started today.